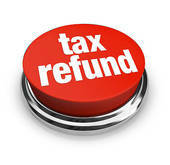 On January 8, 2019 we posted IRS Confirms Tax Filing Season to Begin January 28, where we discussed that despite the government shutdown, the Internal Revenue Service confirmed on January 7, 2019 in IR-2019-01 that it will process tax returns beginning January 28, 2019 and provide refunds to taxpayers as scheduled. The Treasury Department has now released a revised shutdown contingency plan on January 15, 2019 calling for more than 46,000 Internal Revenue Service employees to return to work to get ready for tax filing season, but the majority of them will be unpaid until the partial government shutdown ends. Under the previous contingency plan that has been in place since the shutdown began on Dec. 22, 2018, 88 percent of the IRS’s 80,000 employees had been sent home without pay. Under the new filing season plan released Tuesday, 46,052 employees will be back on the job starting the week of January 14, 2019; 42.6 percent of the workforce will remain furloughed. 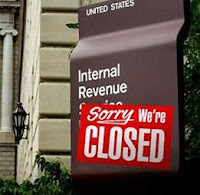 Last week, the IRS announced that tax refunds would be processed as usual once tax season begins on January 28th, even if the shutdown lasts until then, and said it would be recalling a “significant portion” of its furloughed employees. Since then, the IRS has brought back approximately 400 furloughed employees to process income verification forms for mortgage applications, but they are being paid out of the user fees for the applications. The union representing IRS employees, the National Treasury Employees Union, is protesting the plan to call back workers without paying them. The NTEU filed a lawsuit last week challenging the Trump administration’s plans, saying that the executive branch can’t continue to force more and more employees to show up in exchange for just an IOU. A federal judge on January 15th, denied the NTEU’s request for an immediate temporary restraining order. The next hearing in the case is scheduled for Jan. 31st.